The Avanta Table is great for its versatility. 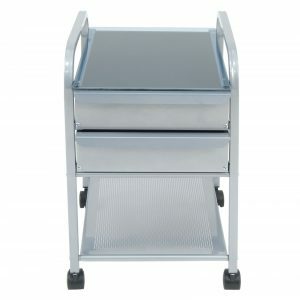 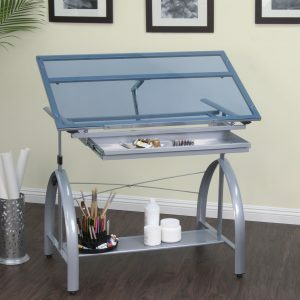 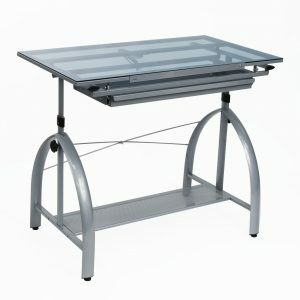 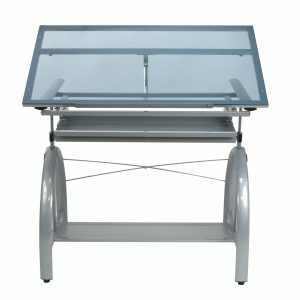 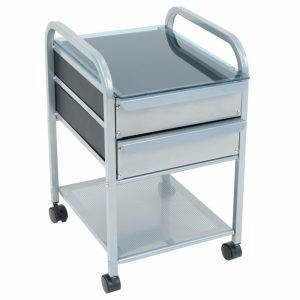 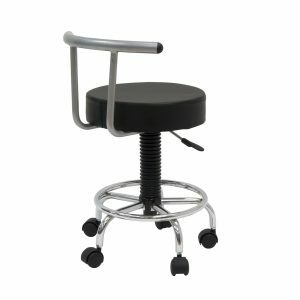 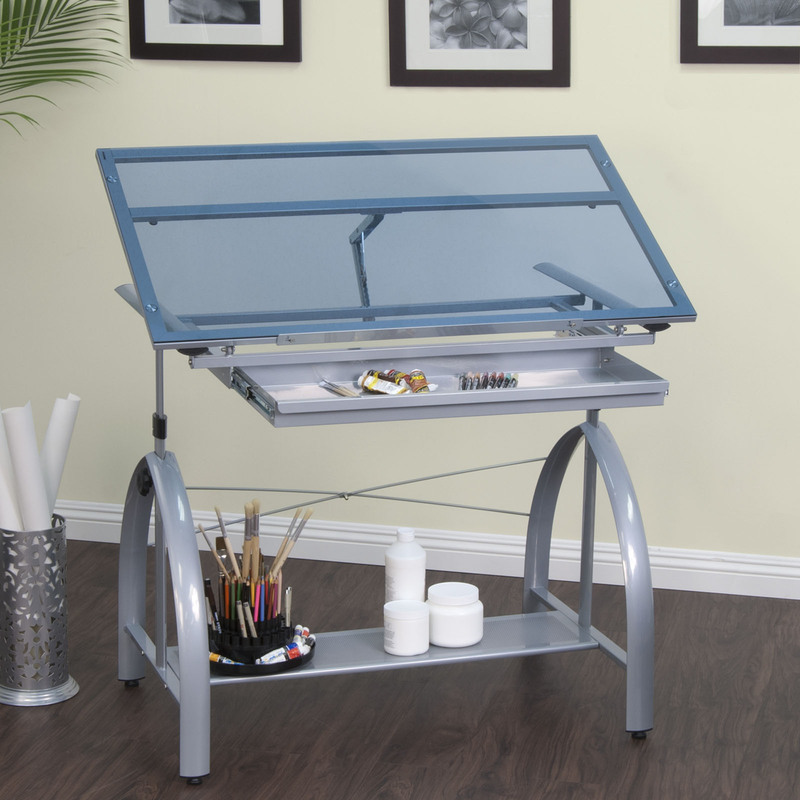 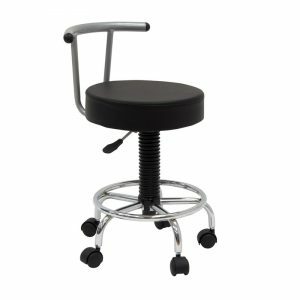 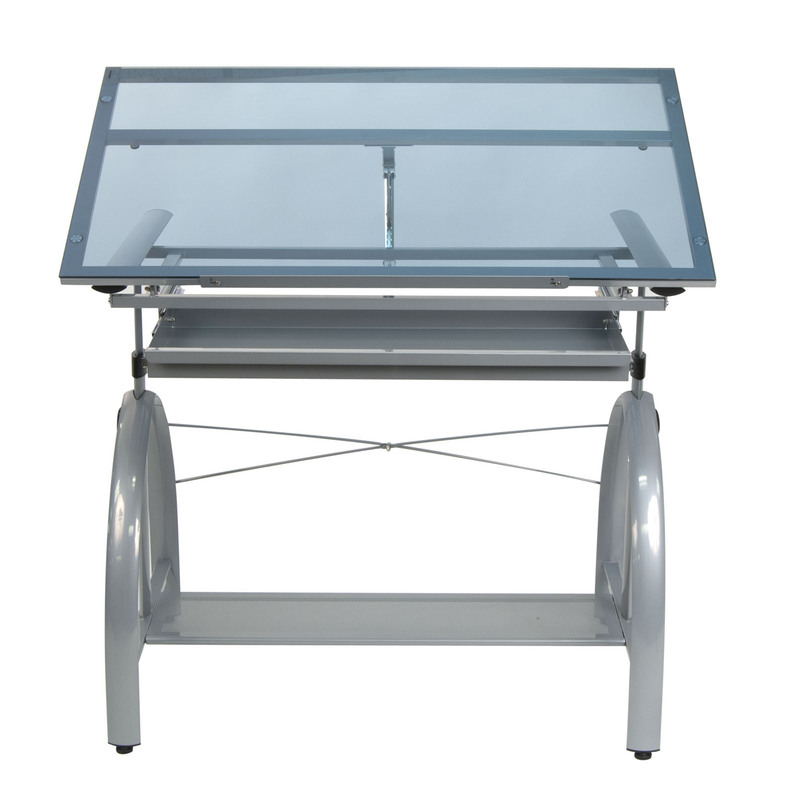 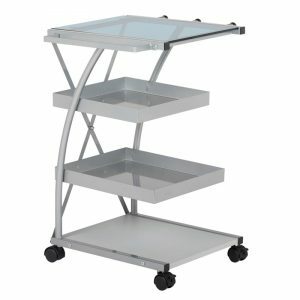 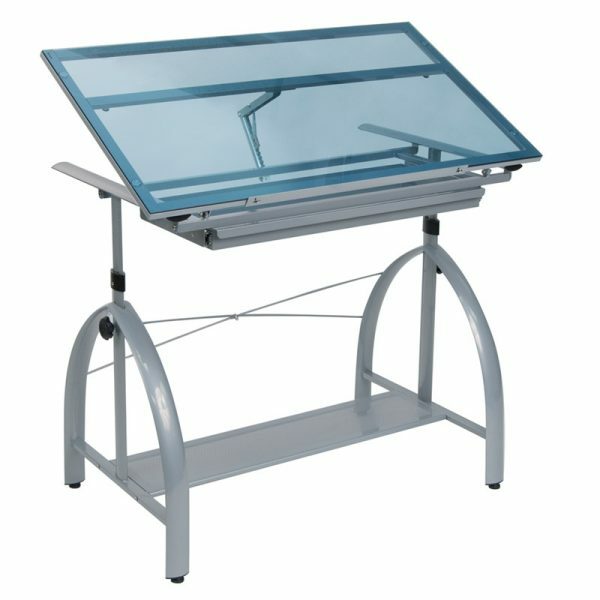 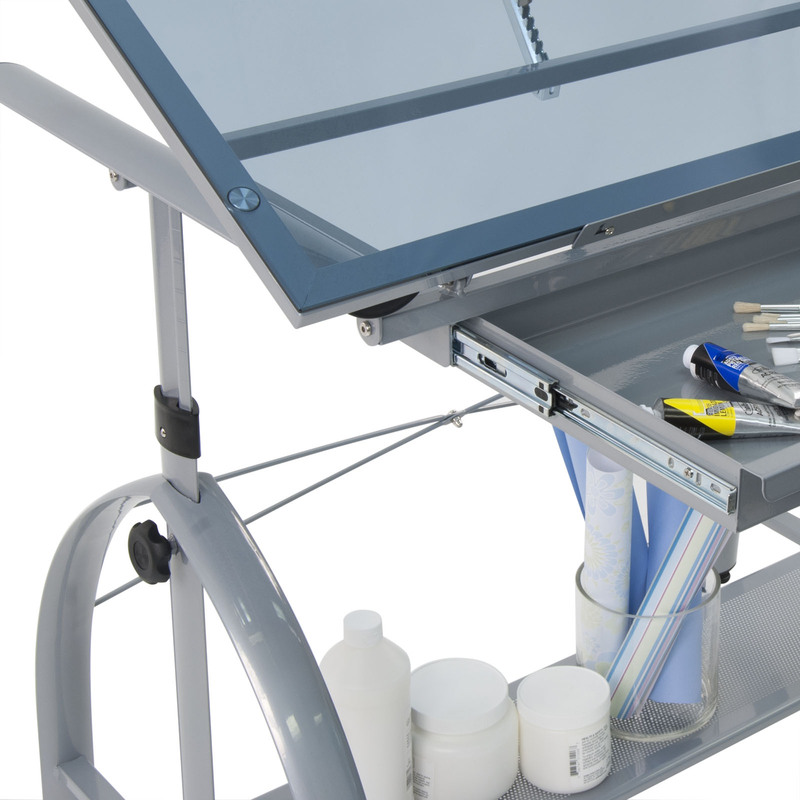 Constructed of durable heavy gauge steel and a blue tempered safety-glass top, it can be used as a multi-purpose drafting, light, or craft table. 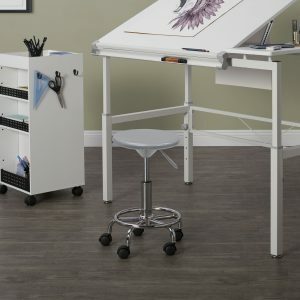 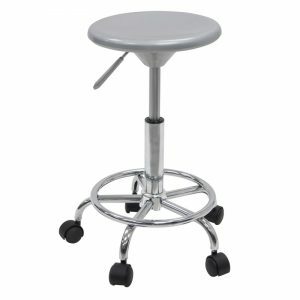 The vertical height is adjustable up to 38" and the main work surface (42"W x 24"D) may be angled up to 30 degrees. 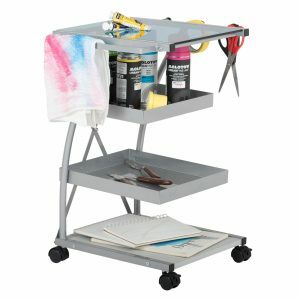 Also featured are a large 29"W x 13"D drawer and a bottom shelf for storage.